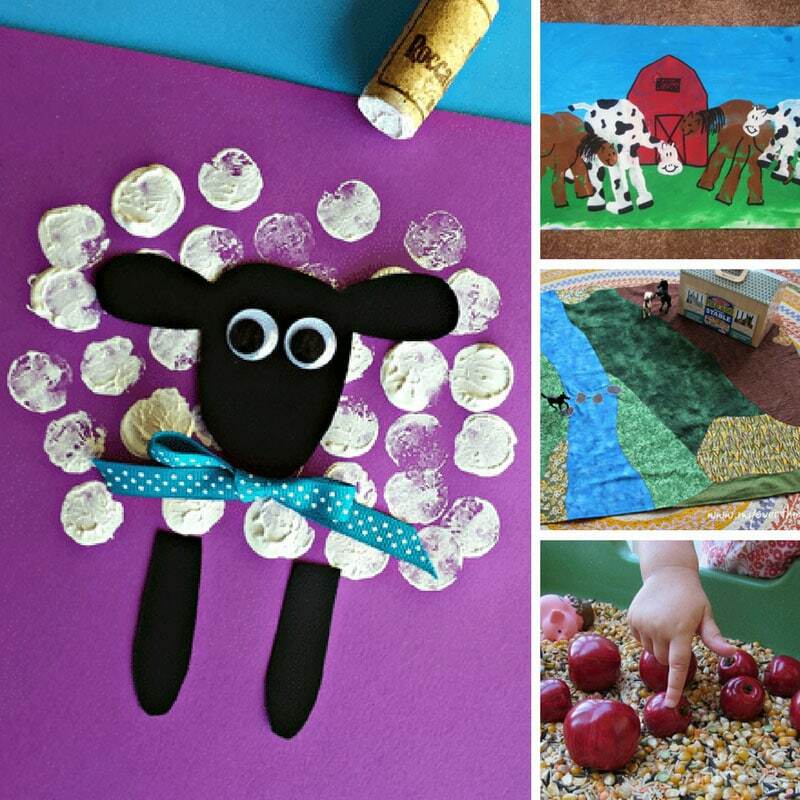 Farm related activities and crafts make a great theme for learning at any time of the year. You can have planting themed activities in the spring, and harvesting themes in the Autumn (Fall), but since toddlers seem to love farm animals and the noises they make I think this is one time when the season really doesn’t matter. 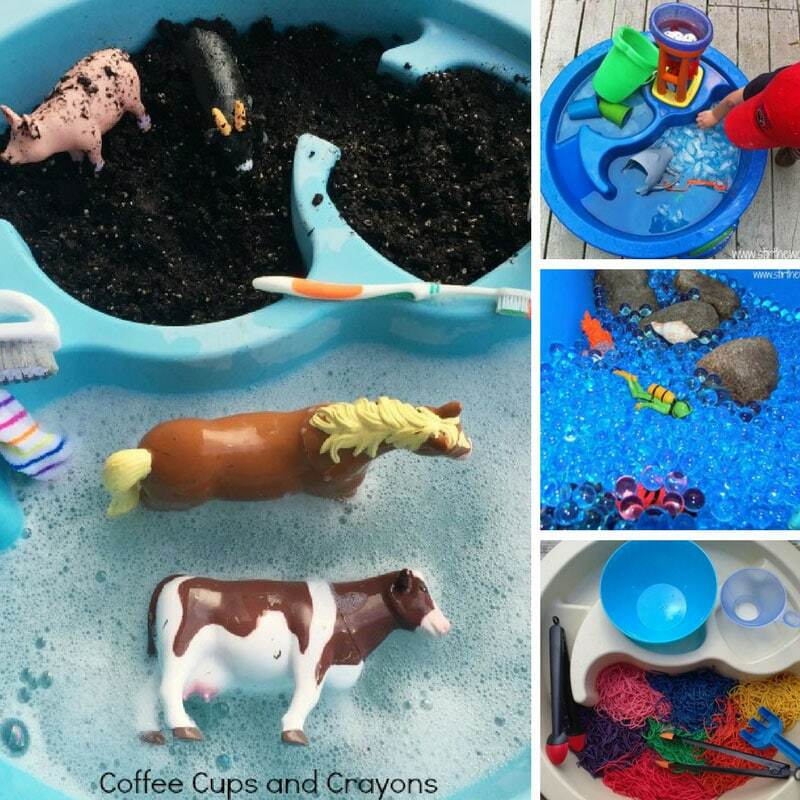 I’ve rounded up a fabulous list of farm activities for toddlers to help your tot learn all about farm animals. 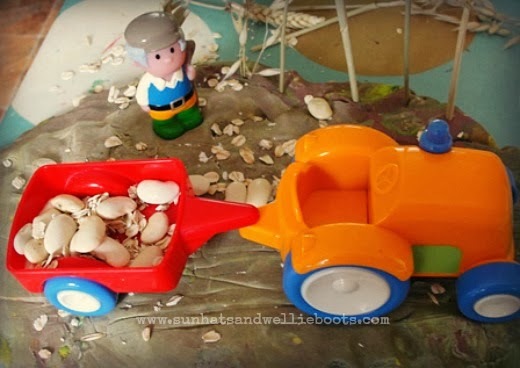 Over at Sunhats and Wellie boots I discovered this wonderful harvest sensory play. I love the idea of using play dough for a field where crops can be grown. 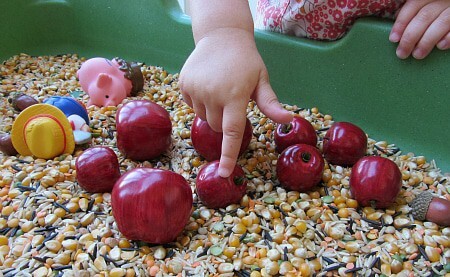 And then there was this awesome sensory tubfilled with popcorn kernels, dried lentils, fake acorns and farm toys. 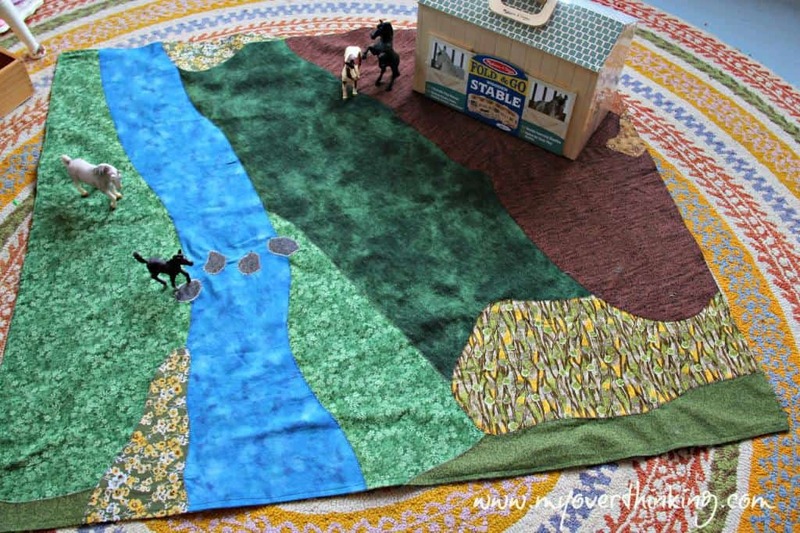 I had to include this amazing sew it yourself farm play mat. 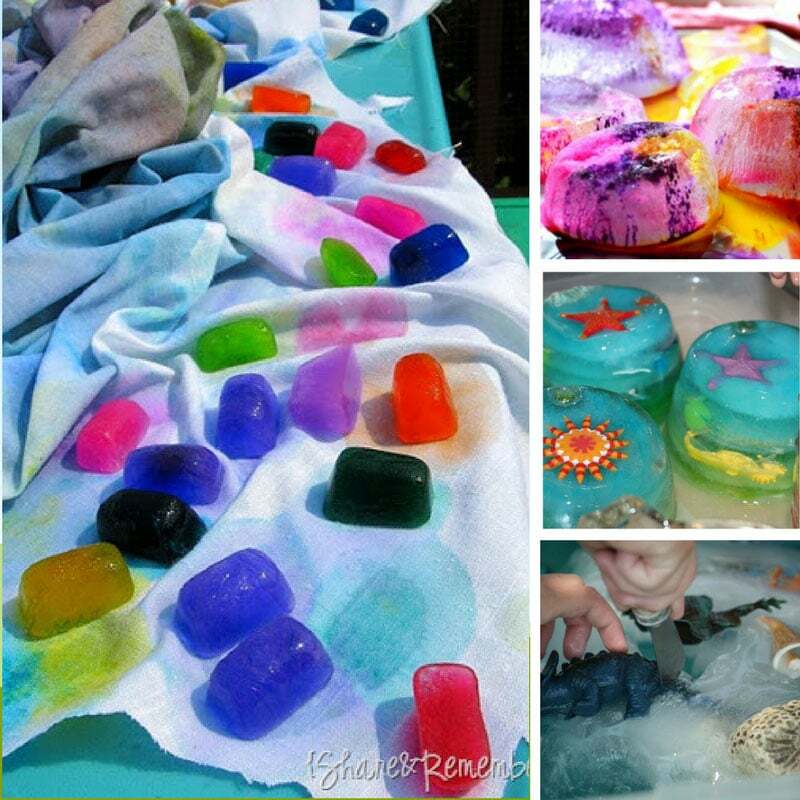 It’s just perfect for those times when you don’t want to worry about the kids making a mess with sensory materials. I’m adding it to my sewing to do list. 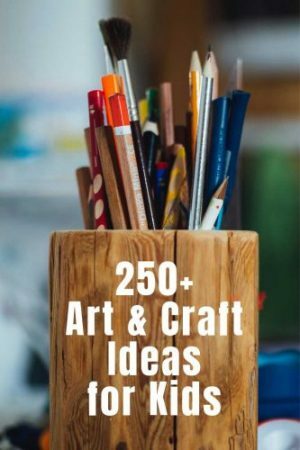 Now what about some farm art and craft projects? 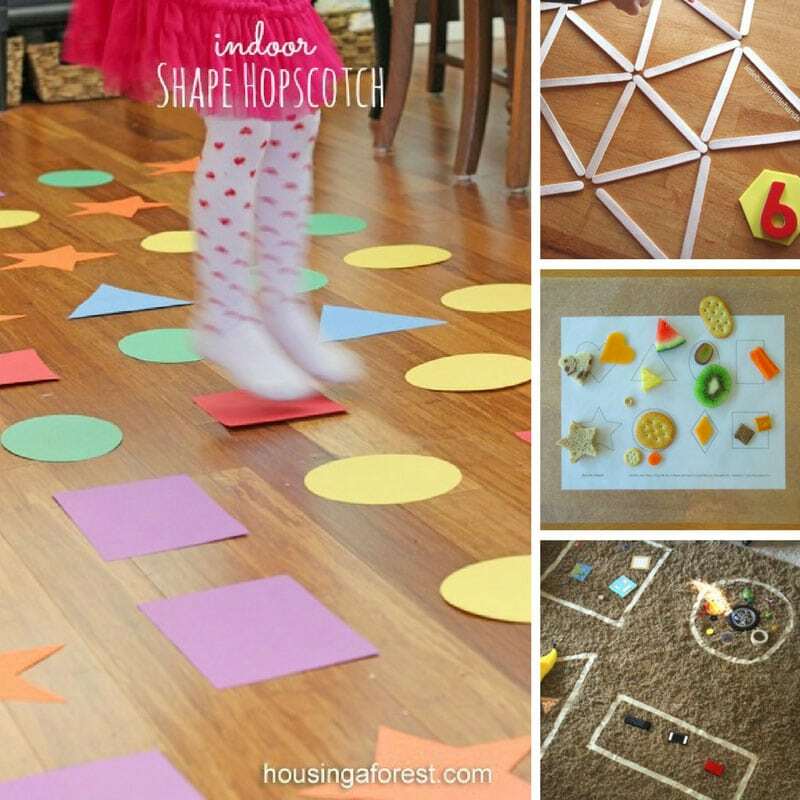 These ones look perfect for toddlers or preschoolers. 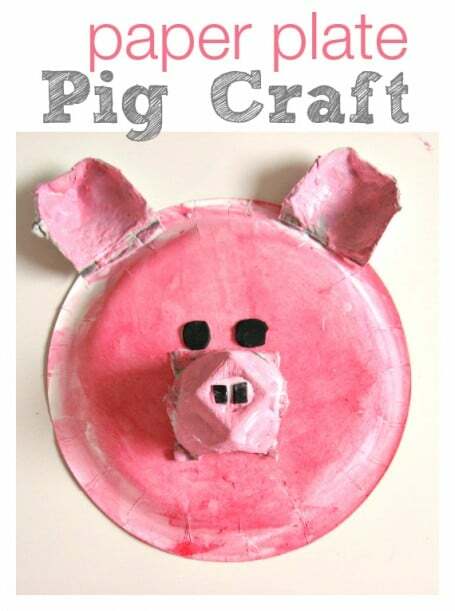 I picked some paper plates up at the store a few weeks ago and we have a spare egg carton so this paper plate pig has made the short list. 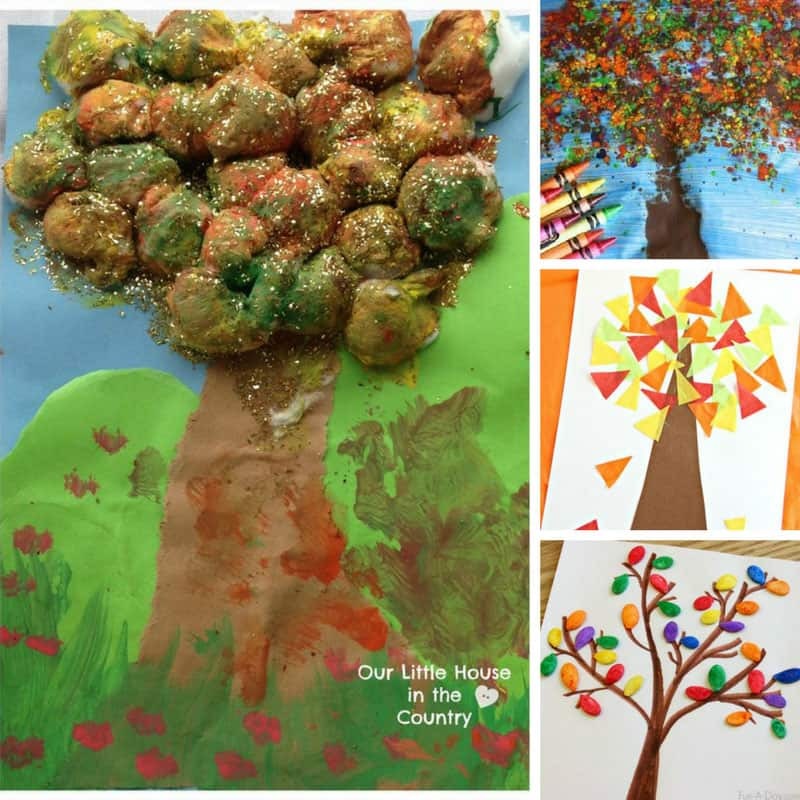 I love handprint art because as you make new pictures over time you can see how much your little ones have grown. 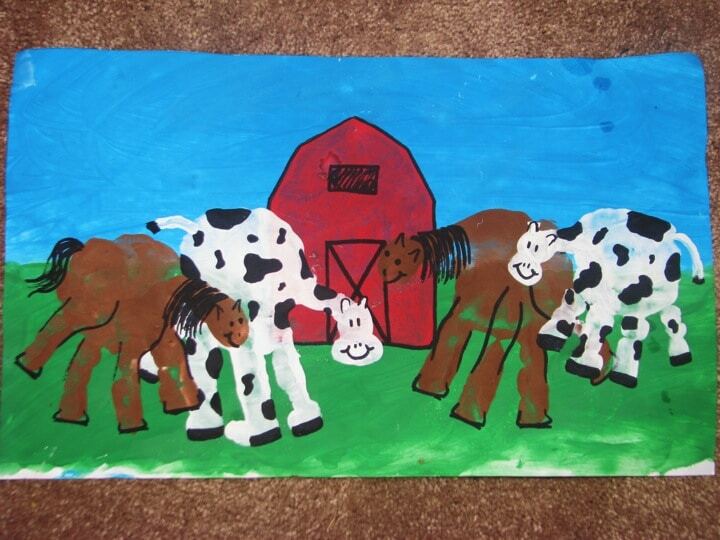 This cow and horse farm picture is pretty adorable. 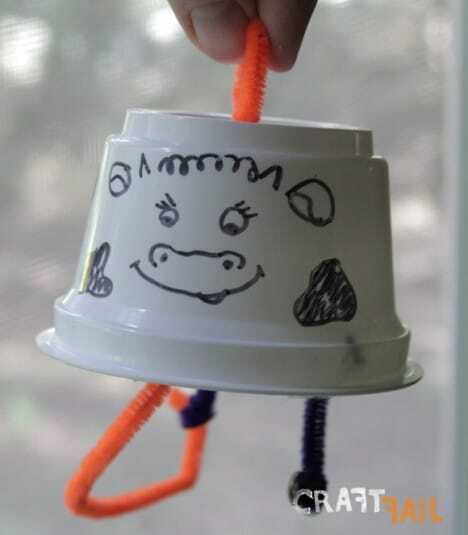 If you’ve got a pipe cleaner and an empty yoghurt pot then you could make this super simple cow bell. 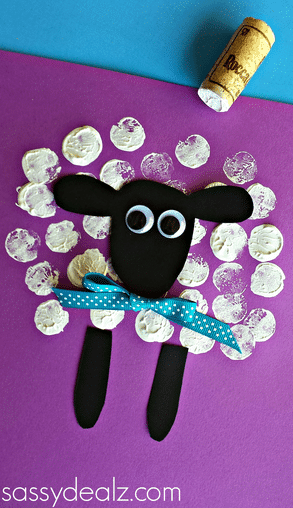 When I think of sheep craft I think of cotton wool, which is why I love thissheep craft that uses wine corks instead! 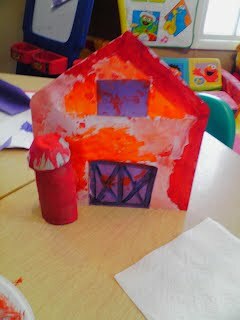 And I’ll finish up with this super cute red barn and silo because I’m still collecting toilet roll tubes and I need something to use them for! How Big is a Pig? is a beautiful board book decorated with felt, thread and beads. The rhyming story will the kiddos learn all about farm animals and opposites, but they can also count the flowers, learn about colours and tell stories about the pictures. Do Cows Meow? is packed full of brightly coloured animals, and by lifting the flaps the little ones can learn the sounds that the animals make. If your little one is already a fan of The Hungry Caterpillar the 10 Little Rubber Ducks board book will be the perfect choice for farm week. Follow the ducks as they get swept away on an adventure out on the high seas. 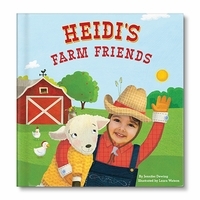 And for a little bit of special farmyard fun the My Farm Friends personalised board book from the folks at I See Me puts your child right there in the story!